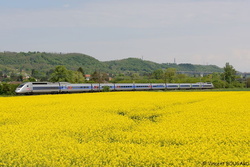 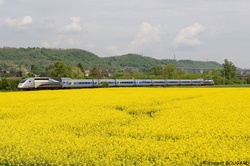 TGV POS 4416 near Chazey-sur-Ain. 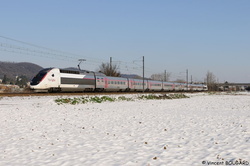 TGV POS 4405 at Beynost. 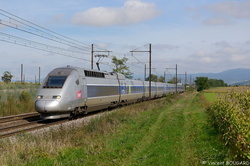 TGV POS 4408 at Beynost. 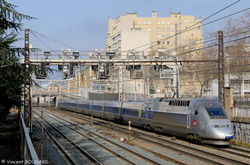 TGV POS 4402 at Beynost. 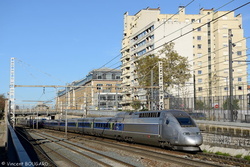 TGV POS 4403 at Lyon. 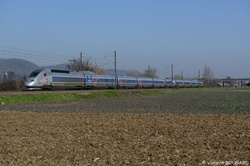 TGV POS 4401 at Beynost. 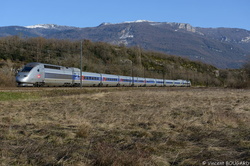 TGV POS 4407 at Beynost.